﻿ Dayton Lane Historic District - Ohio. Find It Here. 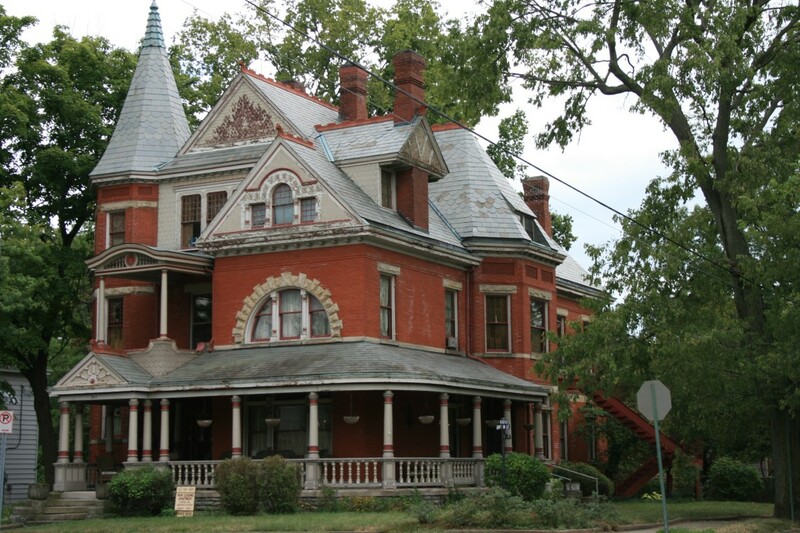 Listed on The National Register of Historic Places in 1985, the Dayton-Lane Historic District represents the residential neighborhood of choice for Hamilton's prominent industrialists at the turn of the last century. The more than 210 homes in this district represent architectural styles such as Queen Anne, Italianate, Second Empire, and Georgian Revival. The Dayton Lane area, lying just east of the many new industries, provided a convenient location for founders and managers of these companies. With the influx of these wealthy industrialists, most of the prominent residences are found on Dayton Street. Campbell Avenue, part of the historic district, was named after Lewis D. Campbell, a major landowner who donated a parcel of land to the city of Hamilton for use as the Campbell Avenue Park.